If you have ever heard of Tex-Mex a blend of Mexican-American foods that started in the mid 90″s you will love this place. This place is a Cal-Mex (California – Mexican) blend that is popular in California. This style of food became popular with food trucks on the streets of California. Chef/Owner Joe Kavanagh grew up in the L.A. street food scene, eating the food that would eventually inspire him to open Olvera Street Taqueria in hopes of sharing his love for all things LA with the world. 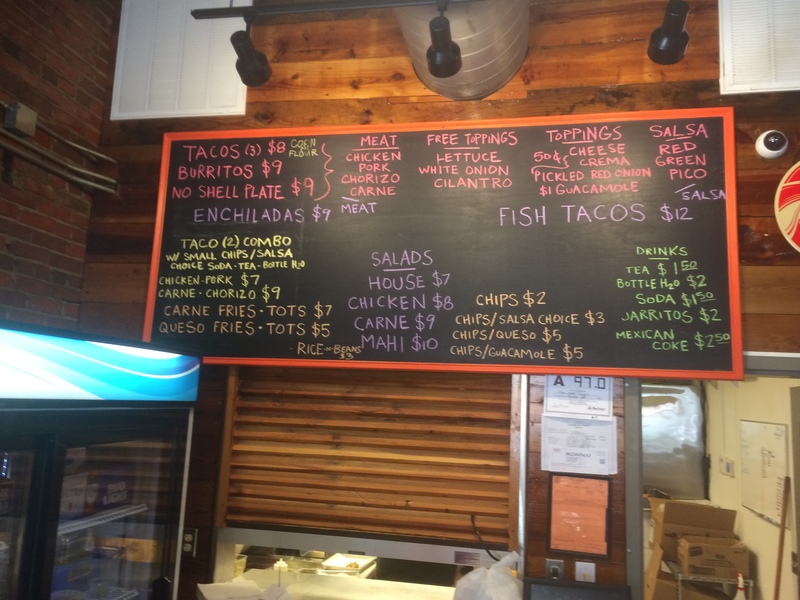 The menu is small but offers a good variety in its simplicity. The flavor of the dishes are not simple by any means. All nature, daily prepared ingredients bring this dishes to a whole new level. 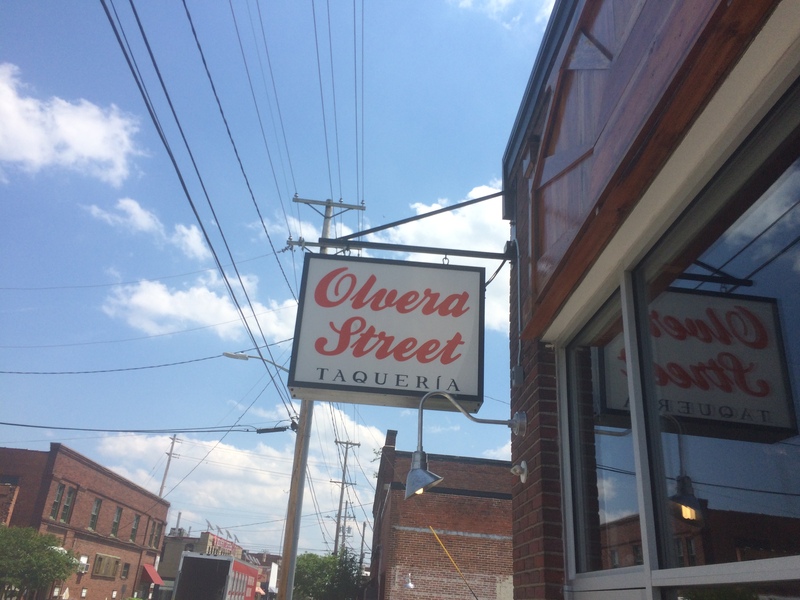 They offer Taco, quesadillas, burritos, salads and street eats. 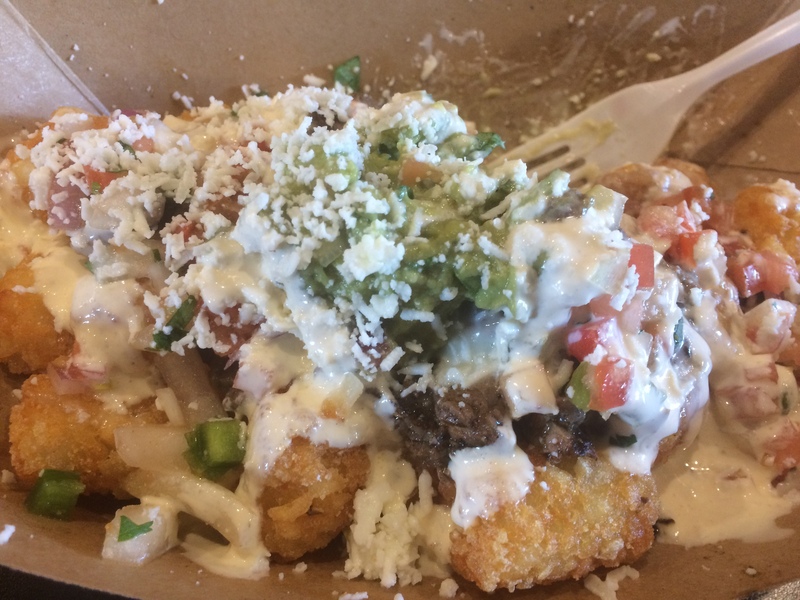 I enjoyed a Carne Fries or Tots, Marinated Carne Asada served over French fries or tots with cheese, guacamole, pico de gallo, crema, and a dusting of queso fresco. Outstanding! This restaurant have been in my town for 3 years and I just found out about it today! But now that I know about it, I will share this “gem”.